We started The Glorious Flight with a breakfast of English muffins and fruit. The kids created their cover pages in their lapbook. 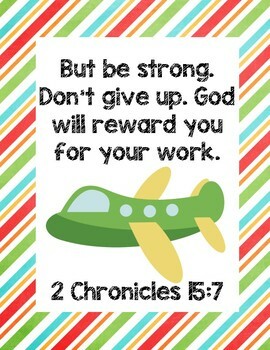 I created a Bible verse pack to go along with The Glorious Flight. You can purchase your copy here at our TPT Store. There’s a FREEbie tracer in the preview! The boys worked on the Bible verse puzzle several times during this unit. We focused on perseverance during this row. Papa Bleriot continued improving his invention until he had a real airplane. The kids watched a few clips about perseverance on Jelly Telly. We started our geography lessons with England. We read England on our Epic app and the kids enjoyed another English inspired breakfast (soft-boiled eggs, fruit, and an English muffin). While on the subject of London fog, we read The Fog which wasn’t very scientific, but it was really cute! The kids added some inserts about England (Homeschool Share) in their lapbooks. With Madeline so fresh in our minds (and hearts), we read Madeline in London from our Mad About Madeline book. The kids LOVED reading about her! Haley is our resident bookworm. Since she finished her Sonlight Core E studies for the year, she joined us full time and enjoyed all the books I added to our shelf for this row! We watched an afternoon tea etiquette clip on our The Glorious Flight playlist. Afterwards, we went into the kitchen for tea & treats and a read aloud of Katie in London. The kids placed their napkins on their laps as instructed by the etiquette advisor. We sipped our tea politely and stirred side to side as demonstrated in the video. We ate our sweets slowly and with small bites. We dabbed our lips when we were finished. The kids enjoyed this SO much we started having afternoon tea EVERY DAY!!! We recently studied France during our Madeline row, but we still dedicated a morning to this beautiful country. We recently received our France packet from Little Passports. I made copies of the maze and placed them on everyone’s placemat. Everyone enjoyed the France inspired breakfast of Oui yogurt and Nutella pancakes! We read our France newsletter and everyone took turns looking at pictures of Paris through the camera (view finder). Later, the boys read Leonardo and the Flying Boy and we worked on our model airplanes. Haley read Charlotte in Paris and loved it as much as Charlotte in London (the previous day). We read about the history of flying as well as some biographies of famous pilots. We read How People Learned to Fly which was a great introduction to the history of flying. The kids added a Flight Timeline (Homeschool Share) to their lapbooks. Jordan has always been enamored by the Wright brothers. We read The Wondrous Whirligig which was based on the early days of the Wright brothers. It was just enough information to wet his appetite for more reading! Jordan started reading First Flight and really enjoyed the story! I love seeing him excited about reading! He read a chapter each day until he finished the book! Great reading Bub…SUPER proud of you! Haley read Who Were the Wright Brothers? and was able to tell us their complete story! Who isn’t fascinated by the story of Amelia Earhart? We started reading Amelia Earhart The Legend of the Lost Aviator, but it was a bit text-heavy. Jordan enjoyed thumbing through the pictures, but I’m sure Haley read it from cover to cover! Parker was SO Intrigued by Amelia’s story. He read I am Amelia Earhart, but he wasn’t satisfied with the summary of her life. So he read Amelia Earhart Rookie Biography and LOVED it! He even grabbed Who Was Amelia Earhart?, curled up on the couch, and started reading more! We read so many wonderful picture books during this row. Lindbergh by Chris L. Demarest was a fantastic picture book about the life of Charles Lindbergh. It was one of my favorite reads during this row. The Daring Miss Quimby by Suzanne George Whitaker told the story of another brave female aviator. Though beautifully written, it was rather sad, because her life was cut short. I printed the onomatopoeia worksheet (Homeschool Share), cut it up, and glued the pictures to their lapbooks. They used the labels for a matching activity. They did a great job matching all of the pictures with the onomatopoeia words. Parker also worked on his Star Wars Language Arts workbook. 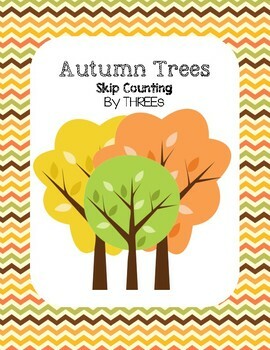 I created several Autumn Trees Skip Counting Packs to use with the boys. I printed the worksheet, slipped it into a dry-erase pocket, and wrote multiplication problems (factors of seven). Jordan used his skip counting by seven facts to complete each equation. Parker worked on skip counting by threes. I used the blank worksheet to write addition math facts and Parker matched the numbered answers on each. 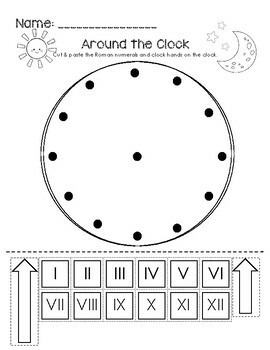 I created a Roman Numeral Around the Clock worksheet for the kids. We read Fun With Roman Numerals and I handed each kid a copy of the worksheet. The kids worked on their clocks and added them to their lapbooks. This was a great introduction to Roman Numerals for Parker and another review for the older kids. I created a story sequencing and ordinal number worksheet. You can grab your FREE copy here at our TPT Store. The kids completed the ordinal numbers and worked hard to remember the correct story sequence. We read the story after to see if their sequencing was correct. They were REALLY close, but I don’t think anyone remembered everything. We started our study of “flying machines” with an airplane breakfast (french toast stick plane flying over a banana-blueberry cloud sky). The kids LOVED this breakfast and gobbled it up quickly! We watched a flying clip from our Jelly Telly app. With their imaginations in FULL throttle, the boys fixed their goggles and were ready to take off! We read The Little Airplane by Lois Lenski. This was a great little picture book that was easy to read and very educational. We also read Amazing Airplanes by Tony Mitton and Ant Parker. This was PERFECT for telling us all about the various parts of the airplane. 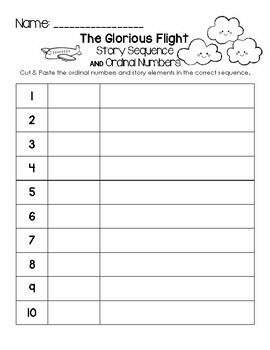 I had the kids color-code the parts of the airplane (Homeschool Share) and add it to their lapbook. We had several airplane races too! We read a few more airplane books! And the kids watched several clips about airplanes from our The Glorious Flight playlist. I decided to incorporate a little pumpkin learning into this row, since Papa Bleriot crashed into the wagon loaded with pumpkins. 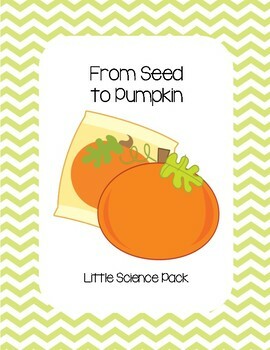 I created a Pumpkin Lifecycle pack for the kids to work on. Honestly, it was geared more towards Parker, but the other two helped complete the worksheets so I could use them for an answer key! I read The Garden That We Grew while the kids worked on their worksheets. Haley worked on a pumpkin story sequence activity. Parker worked on the pumpkin lifecycle and Jordan tacked the “Let it Grow” worksheet (after he finished his math worksheet). They did a great job! It was both a refresher as well as a great answer key for my TPT listing! Thanks guys! After learning about pumpkins, we brought our seeds (harvested last fall) outside and planted them in the soil. On one side of his garden box, Parker added seeds from the large edible orange pumpkin we bought during our Clown of God row. On the other side of his garden bed, he added seeds from the edible blue pumpkin. After a few weeks our seeds sprouted! Looks like we’re going to have a nice crop of edible pumpkins this fall! I gathered everyone’s art books and pencils and read County Fair together at the kitchen table. I told the kids that we would be sketching our sugar pumpkin from above (bird’s eye view) and from below (bug’s eye view? LOL…more like Papa looking up at the flying machine from the street). Here you can see them sketching from the “bird’s eye view”. Here they’re sketching the pumpkin, looking up from the ground. (LOVE the giggling faces). This was a quick, easy, and fun art lesson! The kids made three new landform cards to add to their watercolor landorm collections they made during our Mike Mulligan and His Steam Shovel row. They made a “coast” and “cliff” card and they both turned out beautiful! I felt inspired to make quick landform cookies out of graham crackers and frosting. This was a hit (thank you LORD!) and they devoured them with their tea! Most of the activities we did were inspired by many great homeschool sites. You can find these ideas, printables, and more on our The Glorious Flight Pinterest Board. The Glorious Flight playlist is a fun mix of read-alouds, songs, science clips, and more based on thematic elements from The Glorious Flight. Feel free to check it out! I am just planning our FIAR week for The Glorious Flight, and this is very helpful – thank you! I’m happy our post is helpful! We had a great time rowing The Glorious Flight. I hope you do too!